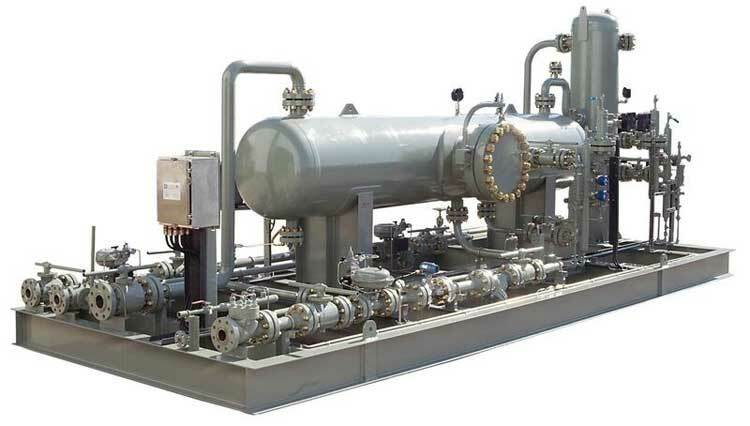 GENERON‘s Horizontal double barrel and/or Vertical filter separators are designed to provide efficient liquid/solid removal and high gas capacities. The coalesce filter section removes bulk liquid and solid particles and coalesces’ fine liquid droplets into larger ones. These larger droplets are then removed in the second [Double Pocket (DP) Vane] section. GENERON utilizes high capacity DP Vanes to increase the separator’s through put therefore minimizing the separator diameter. The double barrel configuration allows you to maximize the gas flow in the upper barrel without re-entrainment while the liquid drops into the lower barrel. 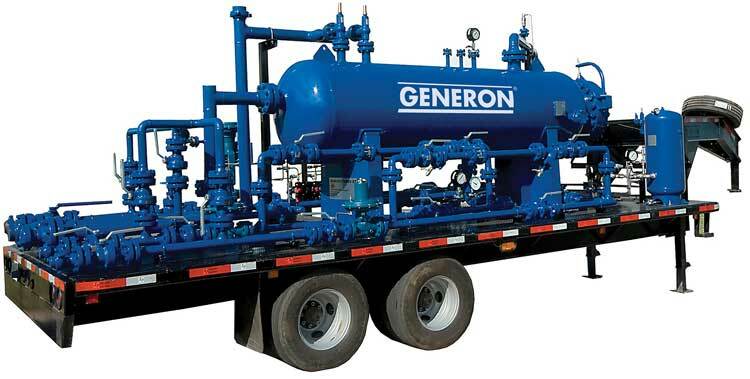 GENERON offers standard coalescing filters that are replaced periodically or designs that can be cleaned and reused. GENERON provides a full range of design, engineering, project management, quality control, and fabrication services for ASME Section VIII, Division 1 and Division 2, “U,” “R” and “NB” Stamps conforming to the American Society of Mechanical Engineers and National Board of Boiler & Pressure Vessel Inspectors’ codes, as well as certificate registration for CRN, (Canadian Registration Number) and PED, (European Union – Pressure Equipment Directive). GENERON products and services continue to prove their value in oil & gas, chemical & petrochemical, refining, industrial, and construction industries around the world by delivering quality products and extraordinary customer service. The safety and productivity of your project is our priority! GENERON is also affiliated with Industry Leading Associations including the American Welding Society, Society of Petroleum Engineers and the American Institute of Steel Construction.